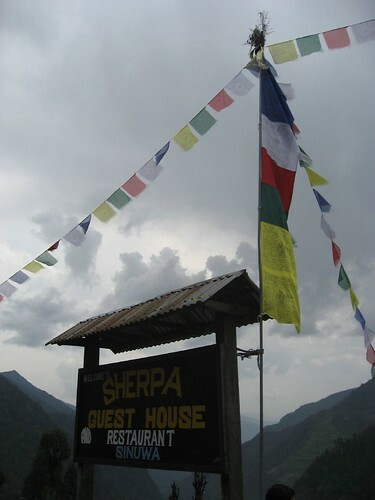 By the middle of my third day trekking in Nepal, I was exhausted according to the French doctor who checked me out at the Sherpa Guest House in Sinuwa. I had a decision to make – continue onward, higher in elevation toward Annapurna Base Camp a day and a half away, or stay put, and reunite with Gela and our guide on their way back. It was one of the easiest decisions I've ever made in life. Day 3 – Wasn't Born to Follow and Snow (Hey Oh) cover this unexpected turning point in my trek.